In the ultrasonic ranging system, the performance of the ranging algorithm directly affects the performance of the ranging system;The operation speed of the method directly affects the performance of the ranging system. From the perspective of information theory, the ultrasonic ranging process is actually the transmission process of ultrasonic waves. 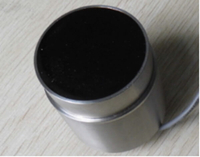 Therefore, the basic methods of communication technology can be used to enhance the anti-interference ability of the ultrasonic ranging system and improve the real-time performance of the ultrasonic ranging system. Achieving measurement or positioning of high-speed moving targets, In order to improve the processing gain of the ultrasonic transducer for depth, this chapter focuses on the modulation and demodulation technology,it is related detection technology and processing gain. The envelope correlation detection technology based on pseudo-random code is adopted, and the modified ASK modulation and demodulation algorithm is proposed. (ASK modulation PSK demodulation); In order to improve the real-time performance of the ultrasonic ranging system, the ultrasonic ranging technology based on the coarse and precise two-step digital correlation method is adopted and improved. The ranging process using the ultrasonic pulse echo method is to excite the transducer with high frequency electric pulse signal to transmit a series of ultrasonic depth sensor transducer , when the ultrasonic wave meets on the acoustic axis of the transducer, one or more targets are reached, part of the sound energy will be reflected back and act on the transducer, which is causing the transducer to a weak electrical signal. After the signal is amplified and filtered, it is sent to the microprocessor system for information processing to determine the time when the echo signal appears, and the range time of the ultrasonic wave and its corresponding target distance are calculated, thereby completing a ranging period. How to improve the anti-interference performance and real-time performance of ultrasonic ranging system is a key technical problem that must be considered when is studying ultrasonic signal processing algorithms. 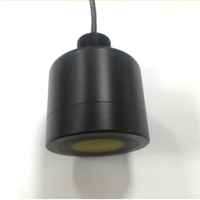 Ultrasonic depth sensor acoustic transducer are not only affected by the propagation medium during the propagation process, but also its signal-to-noise ratio will be affected by external factors such as vibration, air turbulence and absorption and attenuation of sound energy. Experiments show that the traditional enthalpy detection method is effective when the energy of the transmitted signal and the received signal are relatively large during the ultrasonic ranging process. When the distance sensor is far away, the echo signal is greatly interfered by external factors. At this time, it is difficult for the ranging system to directly determine whether the output signal of the transducer is echo or noise .the traditional closed-value detection method fails. . Fortunately, the envelope of the echo signal is basically the same as the envelope of the transmitted signal. 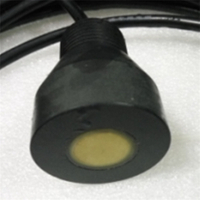 Therefore, by calculating the cross-correlation function of the two and finding the moment at which the peak appears, the range of the underwater depth sounder sensor can be determined. Among the many signal processing algorithms introduced, the envelope correlation function method is suitable for both weak signals and robust algorithms with low sampling rates.In order to improve the reliability of the ultrasonic ranging algorithm, the baseband pulse signal can be modulated into an ultrasonic frequency coded signal by means of an appropriately selected pseudo-random binary sequence as a coded signal (referred to as a pseudo-random code, or a PN code). 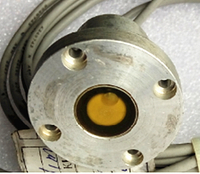 The underwater acoustic transducer is sent to transmit an ultrasonic coded signal outside . In most cases, the external interference signal is not related to the transmitted coded signal. Therefore, by calculating the envelope correlation function of the encoded signal and the echo signal, the external interference signal mixed in the echo signal can be eliminated or reduced to a minimum, thereby achieving weak signal detection with a negative signal-to-noise ratio.Obviously, the longer length is the pseudo-random sequence, the larger is the peak of the envelope correlation function, and the higher processing gain of the ranging system, the blind zone from the system will also increase accordingly. Therefore, it should be based on the actual to measure the demand and choose a pseudo-random sequence of the appropriate length.